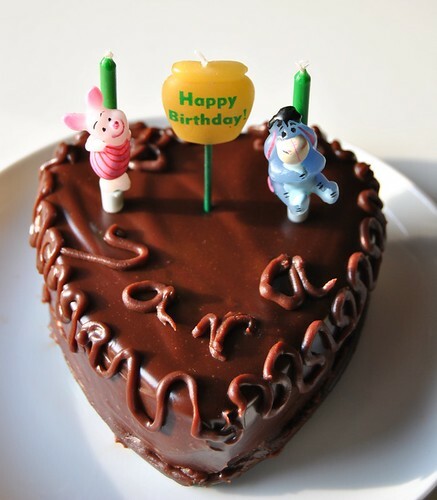 Happy Birthday, my dear little Piglet, ups! sorry, Sara! Three years ago, half past midnight, I arrived to hospital, but the doctor said the baby wasn't ready, she was still moving a lot. Well, less than 3 hours later she was out and she has been constantly in movement ever since. It's even hard to take a photo of her unless you have "photo in movement" setting on your camera. Tanti auguri alla piccola Sara! Tantissimi auguri alla piccola Sara. 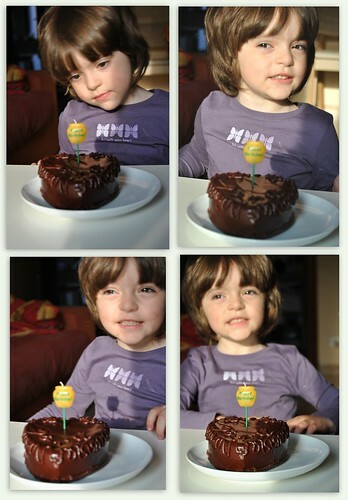 A very beautiful chocolate cake~ perfect for Sara's birthday! 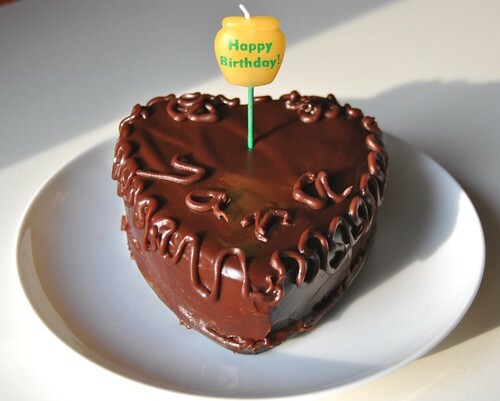 Tantissimi auguri e tanti bacioni!!! ma questa bellissima bimba, merita tanti tanti auguri! Sara è una torella proprio come me! Sretan rođendan Sari, predivnoj djevojčici !! Divnu tortu si joj napravila, prekrasno je ovo čokoladno srce ! augurissi a Sara! :-) bellissima la tortina! Ja mislim da doktori ponekad nagađaju pa kažu da dijete nije spremno a još malo pa evo nje :) Sretan rođendan, slatka torta i još slađa djevojčica. Happy Birthday to Sara! I hope you enjoyed the scrumptious cake! Perfect cake for a perfectly beautiful daughter!Both of your girls are adorable.